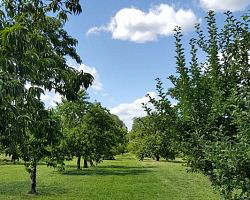 From I-295, take Exit 9 for Rt. 6 west. Travel west on Rt. 6 for 2.8 miles. Continue west on Rt. 6 bypass for 2 miles. Continue west on Rt. 101 (Hartford Ave.) for 1.3 miles. Turn right onto Gleaner Chapel Rd. for 0.5 miles. 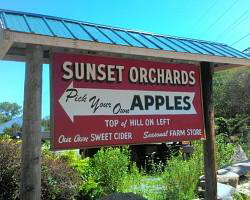 Sunset Orchards is on left.